When I cut my hair a few months back, I was desperate for a change. 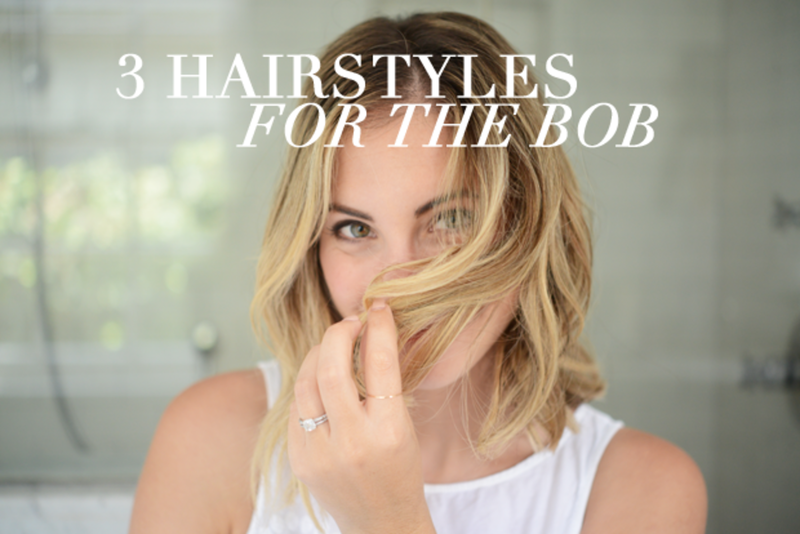 Long hair will always work, but there&apos;s something about having an actual style (a long bob, in my case) that made me feel instantly more polished and grown-up. It’s kind of great what an hour in a stylist’s chair can do for one’s self-esteem. The only downside to this shorter cut was losing the hairstyles that I had gotten down to a science with my long hair. 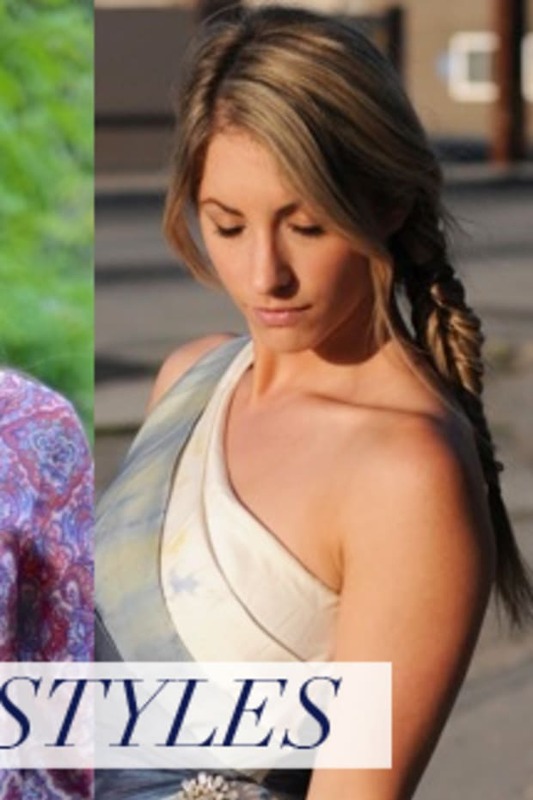 I could do beach-y waves, a topknot, or milkmaid braids with my eyes closed. 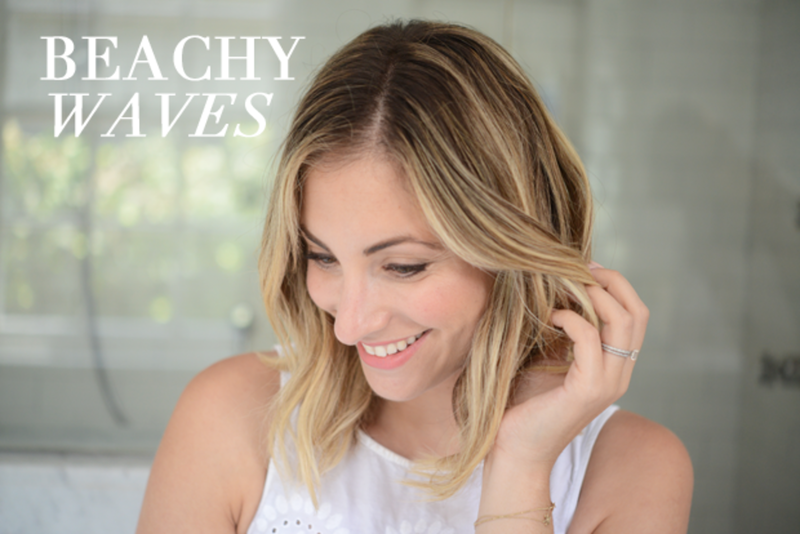 I’m now starting to build up my short-hair styling muscle so I wanted to share the tips and tricks I’ve picked up along the way. 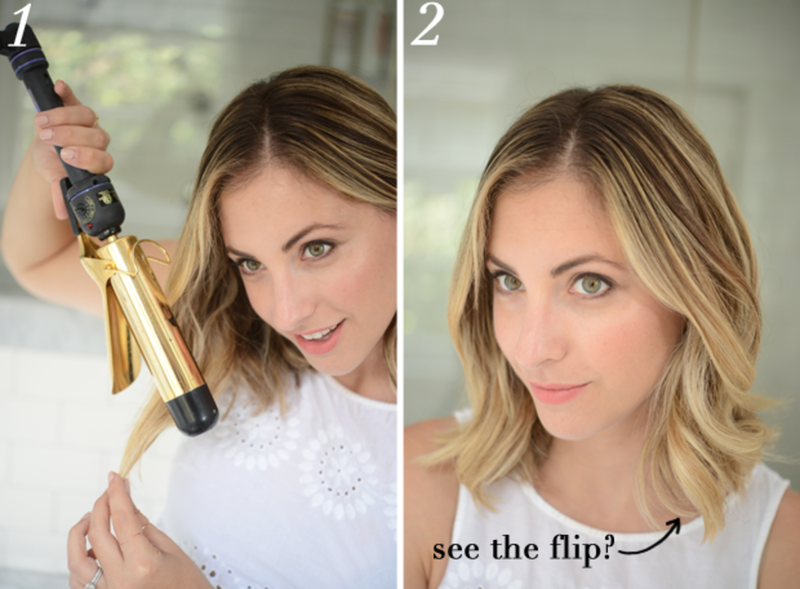 Step 1: Instead of starting at the root with the curling iron, I start midway down the length of my hair, curling away from my face. 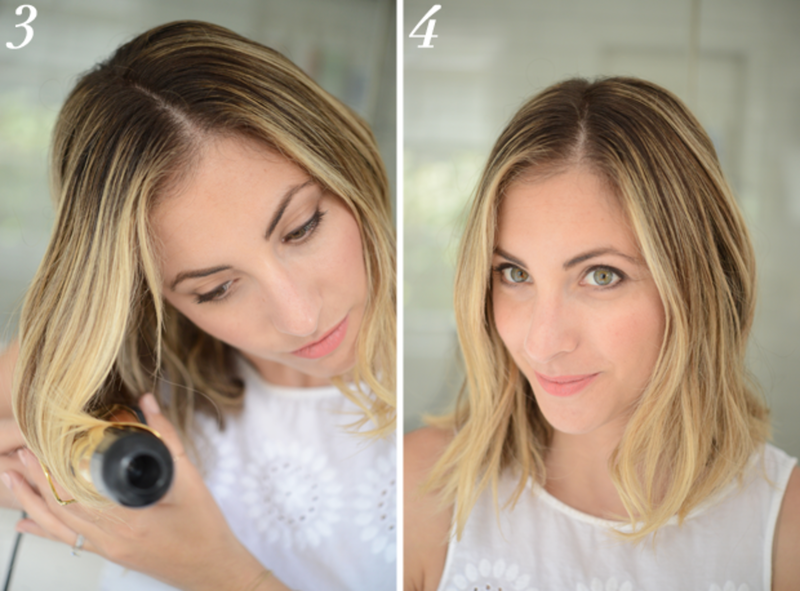 Step 2: At my hair&apos;s current length, the curling iron no longer works the way it once did. The end of the curl now lands in a funny place and my beachy waves end up looking more like a &apos;70s flip. Step 3: To combat the outward flip, I go back and curl the ends under. Step 4: I pull on the curl while it&apos;s cooling so it doesn&apos;t go extreme in the other direction. 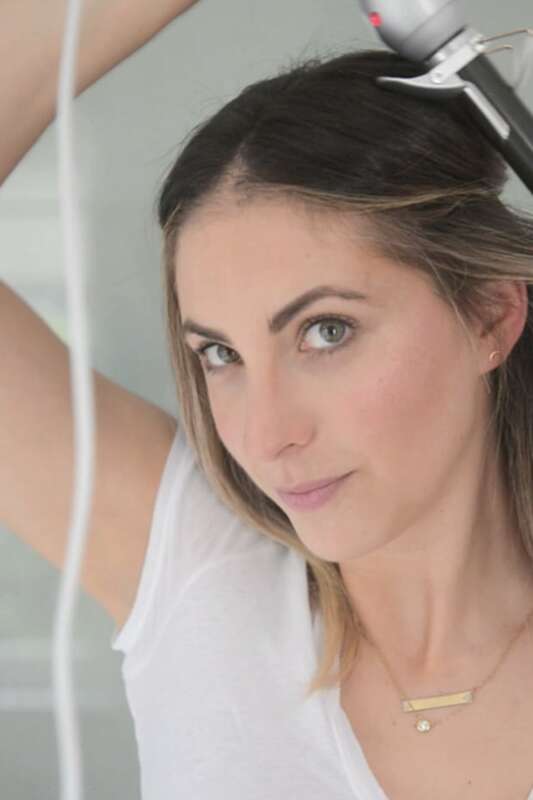 Step 5: Shorter hair means it doesn&apos;t have the weight to pull it down, so the ends can end up being wispy instead of a post-beach textured look. I rub heavy pomade or wax in between the palm of my hands until it turns clear and scrunch the product into the ends of my hair, separating and twisting as I go. 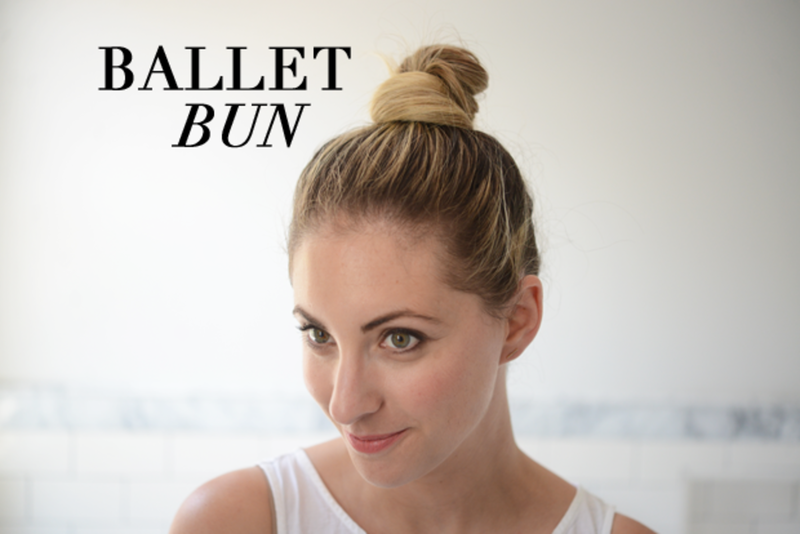 A topknot might seem out of the question for short hair (truth be told I was entirely convinced that I didn&apos;t have enough hair to put up in a ballerina bun), but a healthy handful of bobby pins and a little elbow grease proved otherwise. 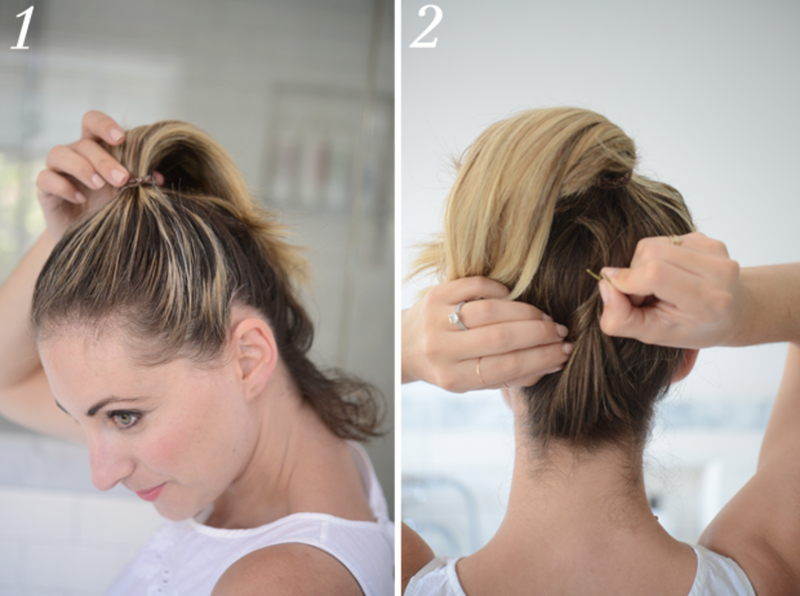 Step 1: Gather hair and secure with an elastic (the higher the ponytail is on the crown of the head, the longer the hair in the ponytail will be). Step 2: There will be shorter pieces at the nape of the neck that won&apos;t make it into the rubber band, so I slide a bobby pin vertically towards the crown of my head so that it&apos;s not visible. 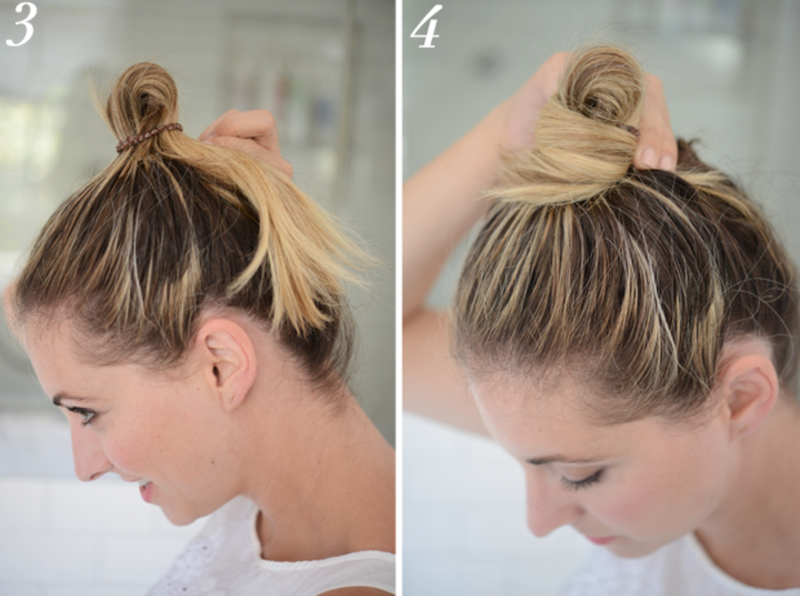 Step 3: To fake a fuller top-knot, I pull the ponytail up through the hair-tie so that there&apos;s a small loop. 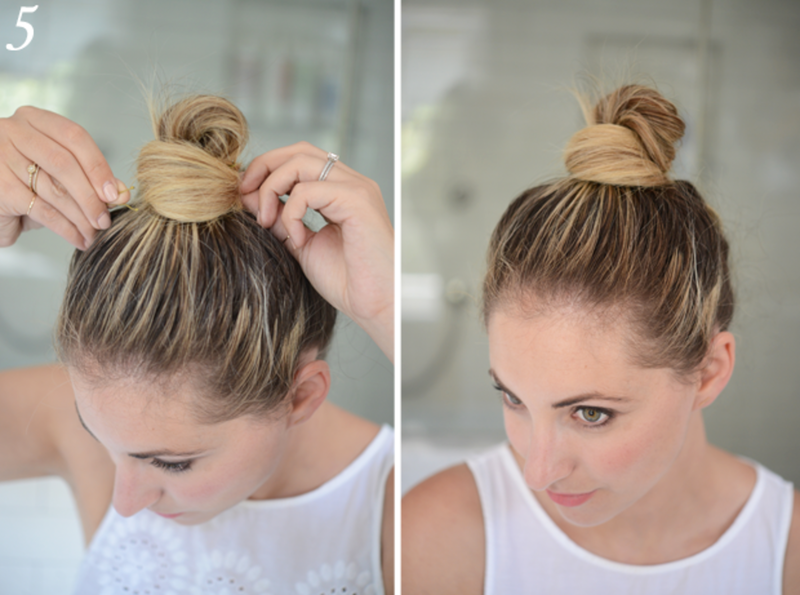 Step 4: Grab the leftover hair and wrap it around the base to cover the rubber band. Step 5: Pin all loose hairs down into the loop with bobby pins. 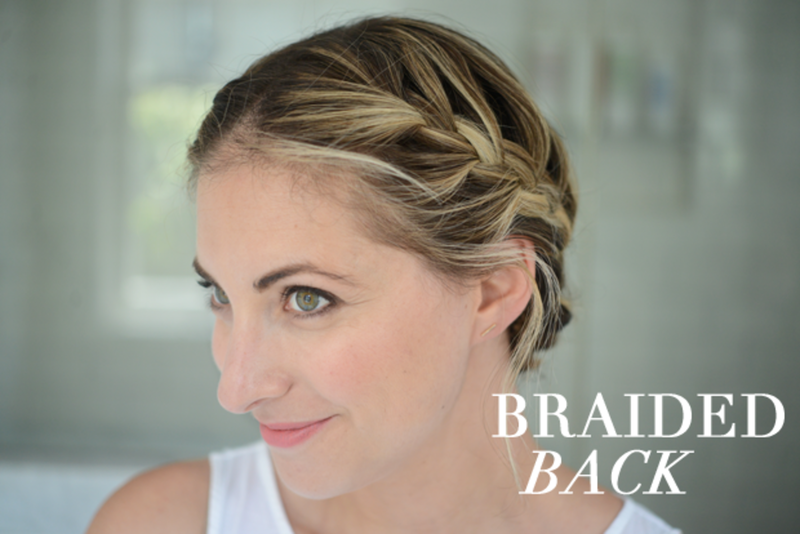 This french braid is the short-hair equivalent of a milkmaid braid and is the hairstyle I rely on to make me look like I&apos;ve done an intricate updo without the hassle. Step 1: Split hair into two sections down the middle of the head. 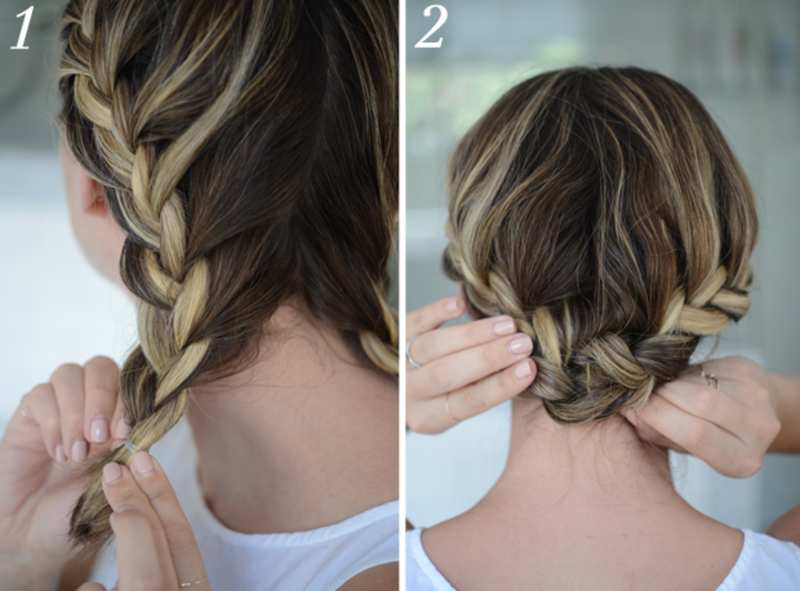 French braid each side and secure ends with rubber bands. 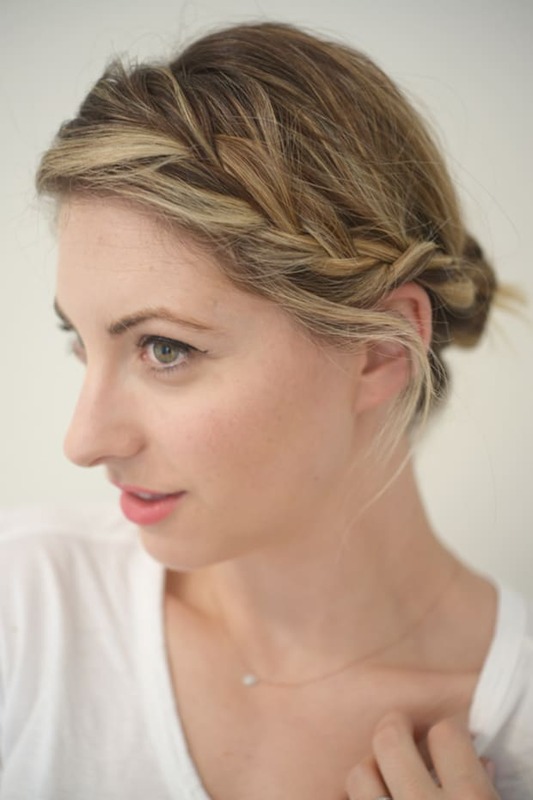 Step 2: Fold braids over one another at the nape of the neck and pin. Finish with a heavy hold hairspray.